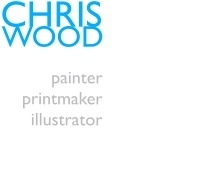 chriswoodartist NEW ART COURSES the definitive list ! Art, Typography or Printmaking ? Walking the Dog, taking photographs and getting cold !